This is a 1979 ad for a Association of American Railroads! The size of the ad is approximately 8.5x11inches. 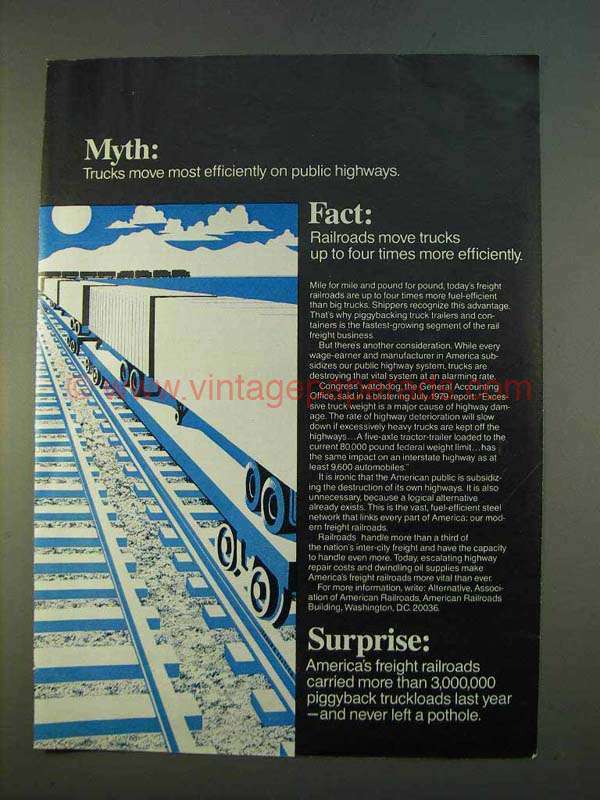 The caption for this ad is 'Myth: Trucks move most efficiently on public highways. Fact: Railroads move trucks up to four times more efficiently.' The ad is in great condition. This vintage ad would look great framed and displayed! Add it to your collecction today!